If you are going to start a singing career, start it right. 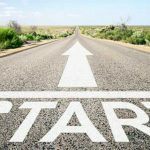 Since as they said-well planned is half done; similar to any other career, choose the right song to start your singing career. For a successful singing career it is really critical that you start right. A right song will enable you to demonstrate your talent to the audience. Mostly singers choose a song that’s already popular. Singing such song is okay but make sure it’s the right song and best suitable to launch a singing career. Though it seems simple to choose the right song, there are many aspects one needs to consider. Before you choose a song understand your vocal range and capability. Start a singing career with the right note. For that purpose, choose a right song that fits your vocal range. Don’t lose confidence even if you are not able to sing in the range of some singer, say Bryan Adams or Al Green. Don’t forget that every singer is different and unique. Everyone has varying talent to show on the stage. Instead be proud of your voice, ability, and uniqueness and sing with the power you have. When you choose a song, it’s very important that you are aware of public response. If you choose a popular song to start your singing career, understand that the audiences will have more expectations form you. People will compare you with the original singer. For instance, “(Everything I do) I do it for you” will always be Bryan Adams’ song. But just because it is his song, it doesn’t mean that you can’t sing it as well. If you choose a popular song, you’ll have two choices: sing it in the same manner and passion as the original one or you change it completely. The matter of the fact is that, you never ever sing an inferior version of the original song. 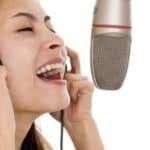 Though imitating and singing the songs by other singers when you start a singing career may help to grow as a singer, after some time you will have to break away from it to become an established singer in your own. 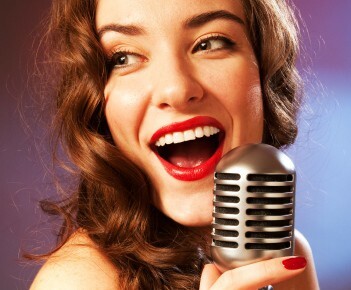 Become a singing artist of your own through learning about the singing and music history. 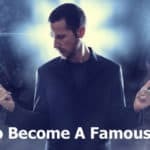 Regardless of the genre of music you follow and sing it’s sure that you will become a great singer by learning about the singers who started it all. 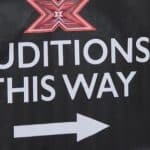 If you are about to start a singing career, it’s very important for you to know about the existing music trends and about what the record companies are look for. Mostly they seek a combination of talent and uniqueness in a singer that they can sell to audience. Many refer to it as the “X Factor”. But fact is that nobody is born with the “X Factor”. Every great singer started from scratch. So, just choose the right song and you will be on your way to success. Try to determine if the song has the right length, which means that it’s not too long. When you select songs that are very popular, you should be very careful because the audience might expect something that is precisely the same or similar to the way the original song is sung. You can only opt to sing these popular songs if you think you can do it very well, or you have something unique to show your audience. In choosing the right song, ask yourself if you can show your greatest strength in doing it. 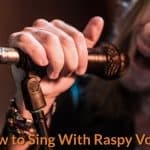 Determine if you have the high and low notes, great power, good runs and a unique sounding voice that you can show off in singing that song. If the song you have chosen is played very often on the radio, and it is greatly associated with a very famous singer, you might run the risk of being compared to that singer. Try to analyze if the song can really do something to connect you with the audience. Lastly, think if the song you have in mind has a magical touch. This refers to a long, final note that can bring your listeners to their feet, or something that can make your audience hold their breaths due to a dramatic moment that makes everyone quiet. Prepare a blank sheet to write down good ideas about songs. Whenever you hear a song that interests you, write its title immediately. Start having a list of songs that you think will be suited to you. You can start searching for songs that meet your needs, and consider composing your own songs. You may not end up as a great composer at an early stage, but as you go on, you may be surprised to find that you’re now choosing the right song from your own compositions.